So I’m over here in Edinburgh working on a project in the field of “High Performance Computing” (HPC), but what does that mean? I didn’t know what that was when I was first introduced to it a year ago, so I understand if it’s raising a few eyebrows. Maybe what’s running through your head is the scene from House of Cards where Lucas Goodwin tries to hack into AT&T’s server farm and is arrested by the FBI. 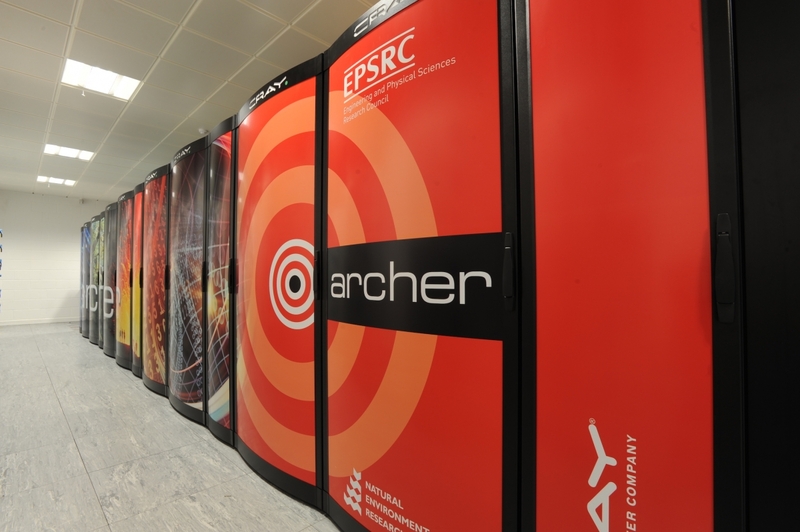 That’s actually what a high performance computer looks like, below is a picture of the supercomputer ARCHER at the University of Edinburgh! 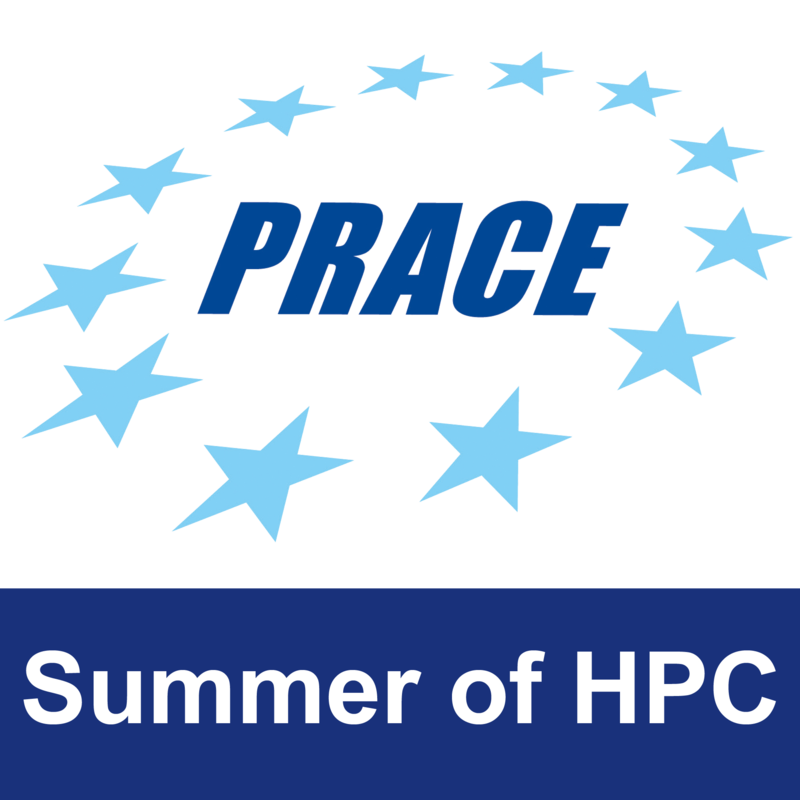 But first, what is HPC? First off, high performance computing is the aggregation of computers with the goal to achieve a higher performance than one would get from a single machine. If we view each computer (imagine your own laptop) as a node, a HPC system is a cluster of nodes each with its own operating system. So as I mentioned in the first blog, if we have a job to do, we can optimise the performance by sending different parts of the job to a different node. Alternatively, this is known as parallel computing. How do you work on one of these computers? It’s like working normally in the terminal. You log onto these computers remotely through ssh. 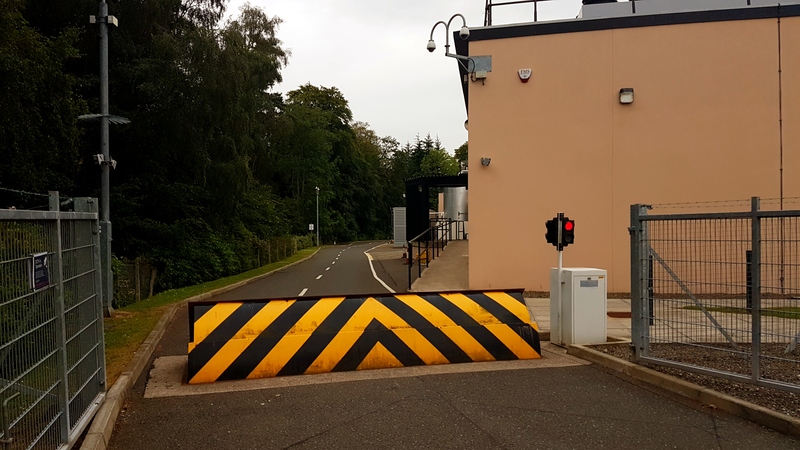 For example, ARCHER (EPCC’s supercomputer) is 10km south of Edinburgh, at the Advanced Computer Facility, but you can work on it anywhere with an internet connection. So when working on the HPC system, you can write your programs in any coding language you want: C++, Fortran and Python are the popular options. However, optimising performance is always the end goal, so if possible, people tend to avoid Python because it is “cripplingly slow” from what I learnt in the training week. Furthermore, one must also deal with the added complexity of dealing with communication between the nodes that are being used, where we use MPI (Message Passing Interface) as the standard way to perform these routines. Entrance to the Advanced Computing Facility. I was surprised it was on Google maps! We actually got to visit Edinburgh’s Advanced Computing Facility and take a tour around. As you can see, it’s not a very welcoming site. We weren’t allowed to take photos inside because it’s seen as a security risk. However, they said they would supply me with stock photos of the supercomputers hahaha. It was a very thorough tour and we were accompanied by a group of people who were summer students here 20 years ago in the midst of their reunion. They were telling us stories about doing research on computers back then, they had no portable machines. So they have memories of doing all-nighters in the computer lab in order to get their work done. I don’t envy them! 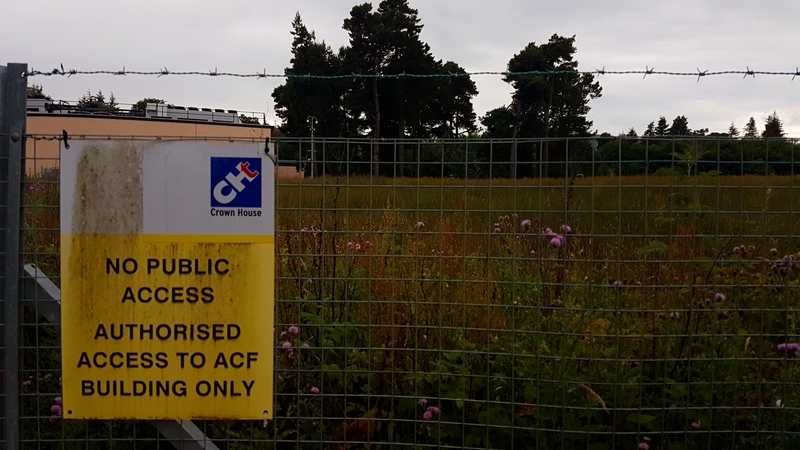 Security is very high at the ACF, much higher than my home university where the smaller HPC system is on campus behind a locked door. These computers are insanely expensive, ARCHER the latest supercomputer cost £43 million and its electricity bill is about £1 million a year. These computers are so powerful that the majority of the electricity is used for their cooling systems, otherwise fires would occur. What work is done on them, and does it affect us in any way? The final question to answer for this quick overview is what are examples of work done with HPC systems and will they affect our lives? Many branches of science and industry make use of them. Weather forecasting, Molecular dynamics, Aerodynamics, McLaren are doing research into developing a ‘hypercar’ using a HPC and the NHS use HPC to manage their database and analyse big data. In fact, we also had a seminar on how HPC is used for drug design. Martin Lepsik from CERMAV Grenoble described computer aided drug design and how they can perform virtual screens on drugs, simulate how they will bind with proteins and perform calculations to score the strength of these bonds. This saves lots of time which would otherwise be spent on clinical testings and enables them to try many more combinations than possible in a laboratory. I found it quite interesting as these scoring functions had a link to some of the work I did in my final year thesis involving Quantum correlation energies. Picture of Jakub and Eva on our first day at EPCC, the James Clerk Maxwell Building is in the background. Now the training week is over, we’ve began our projects and met our supervisors. 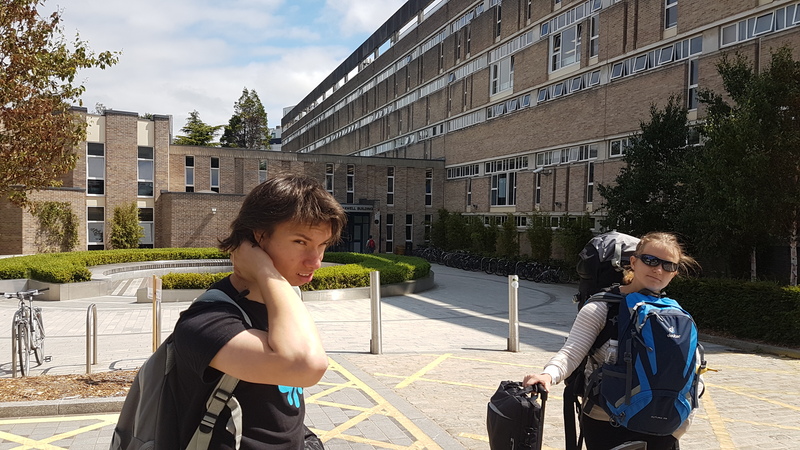 Here is a picture of Jakub and Eva as we start our first day of work at the James Clerk Maxwell building. Next post I will discuss my project. If you’ve any questions just ask in the comments and I will happily reply.